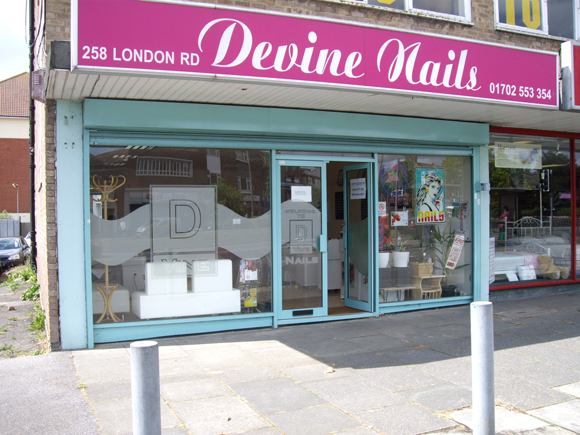 Devine Nails specialise in Acrylic nails, manicure and pedicure. They also offer Shellac and OPI axxium gel colours in their salon to achieve a chip free finish, giving clients perfect long lasting manicures that lasts for 14 days. I had my nails done a few weeks ago with shellac, the shellac was peeling off after 3/4 days ( should last for over two weeks), I called and explained and the lady was really nice on the phone, said sorry come back and I’ll do them again so I thought ok maybe she will do them properly this time and you would think for free too… NO she charged me for repainting the lost nails.. Dreadful and when I was there she ignored me and didn’t apologise, felt so angry for having to pay again.. Oh and guess what the rest all chip off before the 7 day..
Really good pedicure. They shift the hard skin brilliantly. The best place for miles around.